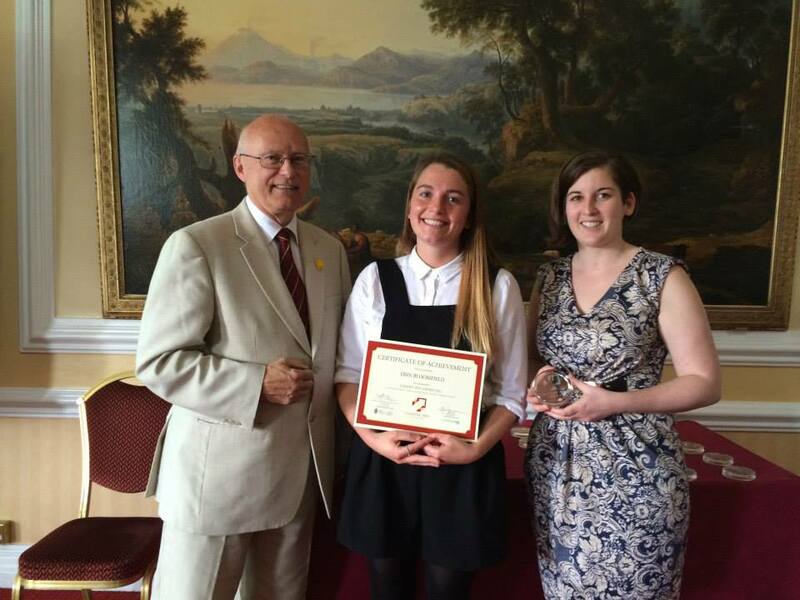 The Cardiff Met Award has been running for two years now, and psychology students have been involved from the start. Last year we were delighted when one of our students won one of the inaugural awards (https://psychcardiffmet.wordpress.com/?s=thomas) and we were again pleased this year when another of our students, Erin Bloomfield, also had the same honour, especially in giving a presentation at the Cardiff Met Award ceremony, in front of an audience including the Vice-Chancellor, Chair of Governors and staff from each academic school. “For me the past year has been wonderful. I have gained a sense of personal achievement and receiving positive feedback and encouragement from anything that has been challenging feels incredibly rewarding, as it does for anyone of us. About this time last year I was running through my university emails and came across a blog post that a previous student had written about her experience of the Cardiff Met award as well as delivering her presentation at the awards ceremony and I was instantly inspired to do the same. For me, my final year was a chance for me to put all I had into getting the grades I wanted, and knew I could achieve if I put my mind to it. As for the majority of students, first and second year can take a lot of adjusting to the change of a new city and new friendship groups. With a fresh new mind set and feeling motivated I applied and was lucky enough to be accepted onto the award in September last year. From my experience of what is required, it is in no way overwhelming on top of all other university work, yet just enough to gain extra skills and expertise in what will be valued by employers after graduation. The workshops I completed included: effective CV writing, promoting a positive image at an interview, equality and diversity, cultural awareness and finally, and the perfect presentation. You are given with so many tips and ideas from professionals that you are unaware of when you start. All workshops are open and available for as many as you wish to attend. Alongside the workshops, I managed to log my hours of work experience from my job outside of university. By doing so, this made me more aware of the amount of experience I was actually fulfilling as well as my university work and I think this is great. It is so easy to get caught up and unaware of what we are achieving day to day. So for me watching my employability page fill up with my achievements and work experience was a great tool to appreciate the efforts I had been putting in all along. All in all I would advise anyone who is thinking about expanding their employability skills or just simply wanting to become more self-aware to apply for this award. Last week I had the honour of delivering my presentation at this year’s award ceremony, which felt really great as it was the blog of the previous year’s ceremony presentation that had originally inspired me. Erin Bloomfield being given the Cardiff Met award by the Vice-chancellor, Prof Tony Chapman, and Hannah Reilly, Training and Development Officer at Cardiff Met SU. I hope that this blog also inspires the same for one—or many—of you this year. We look forward to seeing which of our students will be blogging for us next year, and to see how they also get on, especially with new initiatives to come in the autumn term …. More information to follow in the summer!